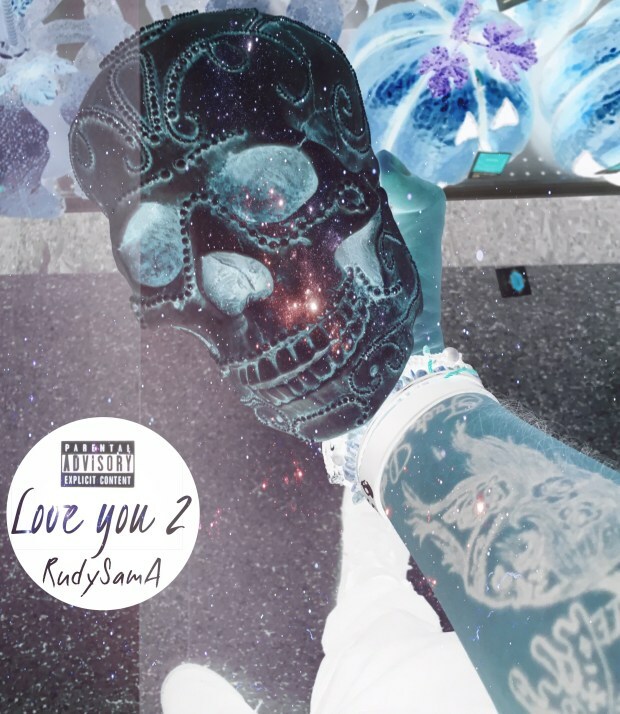 Emerging out of the unknown city Perris, CA underground Hip Hop artist RudySamA drops his new sequel album titled “Love You 2“. This is a must listen for all real Hip Hop heads! We want to thank you for dropping such a dope project recently “Relics”, please tell us who is RudySamA? Well first and foremost thank you and the rest of your staff for helping me promote this e.p . I make cloud rap and boom bap. “Relics” is basically five songs I made 2012-2016 . I decided to rerelease them as a form of paying my respect to how I began. Music was always the creative outlet I used to simply express how I was currently feeling. Now that I’ve taken a step into making this a future career it was only fitting to show the world my earlier work. I’m from a tiny little town called perris in California. The music scene here is almost non existent. I know most of the rappers in my own town and I hope to be able to bring us all together on the same page soon. How did your Hip Hop brand come about? Well I’ve always enjoyed music and freestyling. Eventually I started writing songs about how I felt about stuff with my buddy’s and we formed a group called Xydewayz8 (pronounced sideways8) . We focus on music with a message mostly. What does the name Joseph Jordan mean to you? I had to google him to know who he was to be honest haha. He seems like a he’s very smart businessman who’s a great motivational speaker. We notice you style is super original and very creative. 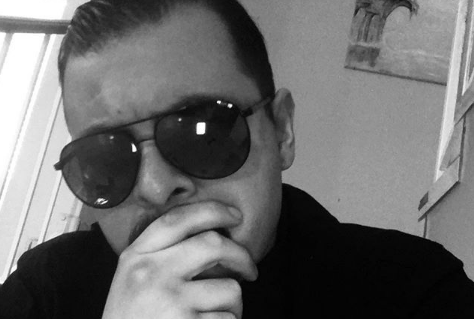 Give us a little background on you style and how it cam about? My influences vary from immortal technique, Jedi mind tricks and aseop rock to the souls of mischief, 2mex, and dr dre. Living legends, Common, Kanye west, kid cudi, A.$.a.p mob, and the Raider Klan really helped me evolve as an artist in my late teens and early twenties. I never try to be like them but I focused on how original the artist I mentioned are and sculptured my style that way. Congrats on success of your latest album, “Relics” . Feel free to breakdown the creative process of the project. (features, production, etc). Where can people find the project? Some of those songs I made right after I had i mental break down in early 2016. “888” and “don’t be sad” where made due to what happened to me. The others I made and had them collecting digital dust on some long forgotten flash drive until I found them again. There is no features on the album it’s simply all me. Shout out to those who gave me the beats however. I mixed mastered and engineered the whole project. Are you planning on releasing any videos to complement “Relics” . Or are you going to let the record gravitate as an exclusive listening experience? I believe music videos are going to die out very soon. whether I’m right or not is yet to be seen but as for now I’ll focus more on putting my art on streaming services. My music is still on YouTube though just not in music video form. With this industry being so fast pace, being so busy promoting yourself, what advice do you have to those who are barely releasing their first record, and trying to break into the business? Network. Talk to as many people as possible online and in person. Be yourself and honest with your intentions and people will give you the time of day. Spend every break at work and as much time that you have free on networking of every kind. A lot of artists in the past did not have the luxury of doing this on their own so we must take advantage of the current situation that the industry is going threw. Ultimately though just let your music speak for itself and be humble about it. How does social media playing a role in your success? How are fans / supporters helping your movement? Truth be told because of social media artists have been allowed to put a more hands on approach to marketing as well as keeping in touch with their fan base. That within itself is amazing. You feel more connected to the individuals who listen to you and support your craft. To me underground hip hop has nothing to do with what kind of instrumentals you use or what subject matter an artist uses, to me it’s about being 100% independent and in a way counter culture to the hip hop most have access to. Instead of crate digging or tape trading like when hip hop started in order to find good music these days you must scour the internet to find the gems mainstream media hasn’t put a spotlight on yet. A big shout to Upr!ze, Roo$kie, Beaker, Emcee P-nutty, Golden Galo, Duck Beats, and Murx aka XYDEWAYZ8 that’s my fam!! 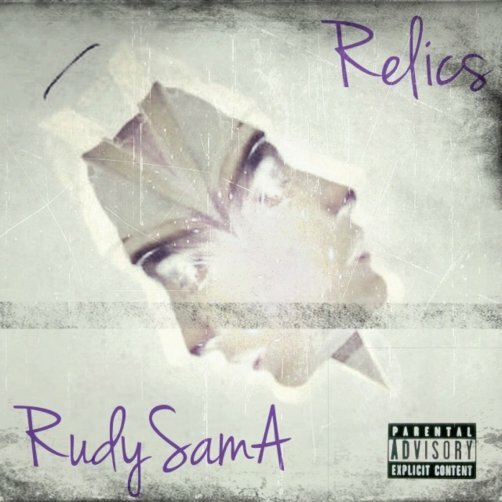 Up and coming underground Hip Hop artist RudySamA from Perris, CA drops his new EP titled “Relics“. Available on all digital streaming platforms!